Since its beginning in 1991, the EoC has always had a main objective: to contribute to realize a community without any needy people. This reality was present right away as a natural development from the spontaneous experience of the communion of goods that the Focolare Movement lived since the forties, first in Trento, and then slowly all over the world. For this reason the sharing of the profits of the EoC enterprises was lived from the early times in a spontaneous manner, in the spirit of a family, where, those who have more, simply put in common with those who have less. If our spontaneity has contributed over the years to make the spirit of family and mutual trust grow among all the people involved in the EoC, as the number of the businesses and of the people involved increased, the need for transparency about the management of the help has grown at the same pace, as an additional contribution to communion and reciprocity. For this reason we have been working for a few years at the idea of a public report about the management of the EoC money disbursed to help our poor. The accounting for what we do became concrete in 2006 and 2007 with the publication of a synthesis of the way we distributed the funds, in this Newsletter. Last year we took an additional step toward a more complete transparency presenting our “Report about the distribution of the EoC funds for 2008”. We printed it in 1000 copies and made it available on our EoC web site. The 2008 report begins with a descriptive part where we present the EoC and our peculiar concept of poverty which characterizes it. The EoC in fact places itself at the side of those experiences who view poverty not only as a wound to eliminate but also as a virtue to re-discover and an occasion to build fraternal relationships among persons and peoples. In this sense, the EoC does not aim so much at a “fight against poverty” but it rather generates relationships of communion also in economy. In those relationships, through which we carry out the free sharing of resources, time and experiences, we aim at defeating misery and have poverty acquire its most beautiful value, that of the free choice of a life lived in the gratuitous and mutual giving for and with the others. The report goes on explaining how we utilize our financial resources in the different forms of direct and indirect help. In our help for the indigents, we utilize one area of intervention, education: we offer to young people support to finish their studies, from the basic ones to University levels and to professional schools, so that they will have a better chance to have access to the job market and therefore a better future. Our help to the indigents covers also assistance in emergency situations with contributions of support for basic needs such as food integration, medical assistance, improvements and maintenance of their homes. We then offer the experiences of projects realised in the last few years in those same realms in various countries: Argentina, Brasil, Bulgaria, Chile, Croatia, Indonesia, Macedonia, The Democratic Republic of Congo, Santo Domingo, Serbia and Thailand. Then, after a brief presentation of the collaboration between the EoC and AMU –the Association for a United World Onlus (non-profit organization of social utility), that takes care of the management of the helping projects - the second part begins. Here we have the data about the help given in 2008, presented first in numbers for each country or world area, and then in a graphic form covering the beneficiaries of the help, the quantity of help distributed and the revenues of the project. It was a complex piece of work which took a few months to complete because we had to do the elaboration of the statistics and the organization of the data. We collected all the data relative to those who benefited from the help (number, place, purpose, and type of help); those relative to the amounts utilized (amounts, destination, purpose and type of employment) and those relative to the revenues (amounts, place of origin, type of givers and contributions). We also drew a program to obtain as many types of information as possible from the data in the form of graphics, a piece of work that will be useful in the coming years, since we want to further improve our sharing and our transparency in passing information on to you. According to the proposal made by Chiara in 1991, one part of the profits shared by the enterprises adhering to the EoC is used to start activities to help indigent people. In these past years while we got the project going, however, this share of the profits has not been able yet to cover all the requests for help coming from all over the world. For this reason we integrated that amount of money with the personal spontaneous contributions given by the members of the Focolare Movement. In the 2008 report we introduced both types of contributions: the financial one of the businesses’ profits’ sharing and the portion covered by personal contributions. In elaborating the 2009 Report we would like to increase our transparency, especially for the part related to the enterprises’profits sharing. A sign of that reciprocity and full sharing that we want to be the main and most important feature of this experience, is to be able to know the fruits generated by the businesses from having put in common with much sacrifice and commitment part of the profits of their own activity. We will therefore present in a distinct manner the development projects financed with the profits of the businesses – particularly those related to the creation of new jobs and education (basic, university and professional) and the actions of emergency help to the indigents financed by the personal contributions of the Focolare members. Next year, as well, the heart of the Report will continue to consist in experiences lived in many parts of the world, to be a witnesses of a new way of living cooperation and poverty, characterized by the centrality of the communion of relationships. Finally one last yet important consideration: the Report so far gives only news about the profits and financial contributions by the businesses, communicated to the Central EoC commission, that is the funds registered in the Zones all over the world by the EoC commissions and physically transferred to us. The spirit of communion animating the businesses however drives them to offer a sharing much bigger than the amounts reported in our annual report. We do not record for example what is used inside the business in favor of indigents or for courses of spiritual and human education aimed at generating new men and women.Several enterprises host for long periods of time young people from other countries who wish to live the EoC experience and at the same time grow professionally and humanly. This is the case of Mundell and Associate in the USA who hosted several students from South America and of the Ancilla and Banco Kabajan enterprises in the Philippines who have been adopting this practice for years. In addition, in many of our EoC businesses there is always the presence of differently able people who challenge the effectiveness of the market economy. Their presence “attracts to the enterprises God’s benevolence” together with the admiration of suppliers and customers. In a purely accounting perspective, at least one part of their cost, should be considered as a shared profit with those who need that job, not only to live, but also to fulfil themselves as persons. To have an idea of the profits that the businesses share inside the enterprise, is it enough to think of the Tassano Consortium within which 150 differently able persons work in two cooperatives, which are able to maintain the financial balance thanks to the other Coops of the Consortium, who give up part of their profits. 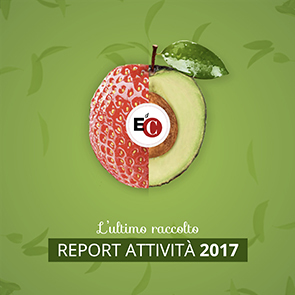 In 2007 the five Consortiums of Social Coops, adhering to the EoC, gave life to an association called “For Everyone” (refer to n.27 page 20) with the purpose of elaborating together and to better define a new type of enterprise. These enterprises, although they will maintain a strong social sensitiveness, are set up to generate profits, even if modest: they are the so called “Social Enterprises” already provided by the Italian legislation.